College teaching may be the only skilled profession for which no preparation or training is provided or required. You get a Ph.D., join a faculty, they show you your office, and then tell you “By the way, you’re teaching 205 next semester. See you later.” The result is the consistent use of teaching techniques that have repeatedly been shown to be ineffective at promoting learning. Many professors are surprised to learn that . . . There are well-defined instructional techniques that make teaching more effective. These techniques can be introduced slowly and methodically, without compromising coverage of the syllabus. They do not require large expenditures of money, time and effort. Most importantly, the techniques have been validated by careful, documented, repeatable research. Their effectiveness is not simply a matter of opinion. They work! 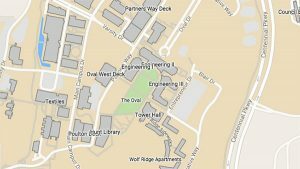 This site offers guidance on what those techniques are and tips and resources for using them. 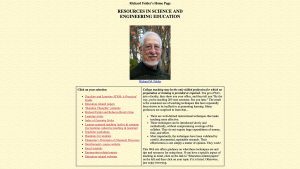 The foundation of this website is a collection of resources compiled by Dr. Richard Felder, Hoechst Celanese Professor Emeritus of Chemical Engineering at NC State University, at his popular website, Resources in Science and Engineering Education. Many of the articles and columns it contains were coauthored by his colleague and frequent collaborator Dr. Rebecca Brent. That website closed December 31, 2018, and content from it was moved to this site. Browse through the sections shown on the left. Teaching and Learning STEM: A Practical Guide (Felder and Brent, 2016) presents a trove of practical research-based strategies for designing and teaching courses and assessing students’ learning. Explore Rebecca Brent and Rich Felder's STEM education blog posts at educationdesignsinc.com/.